This article is about the region. For the city, see Antyphyllos. 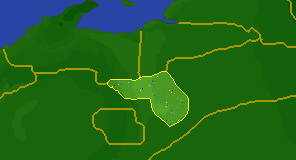 The County of Antiphyllos is a region within western Hammerfell in the Iliac Bay. Its northwestern border is shared with Sentinel and Ayasofya. Its capital is the city of Antyphyllos. The immense Alik'r Desert surrounds the rest of the region, although even the local residents seem to have trouble establishing those borders with any certainty. The Anthotis bloodline predominated among vampires in the region. This region is home to The Dust Witches and the Coven of the Dust can be found here. This page was last modified on 28 June 2017, at 05:38.